Armed police in Nigeria have broken up a gathering of civilians marking the historical events of Ashura, arresting at least six people. 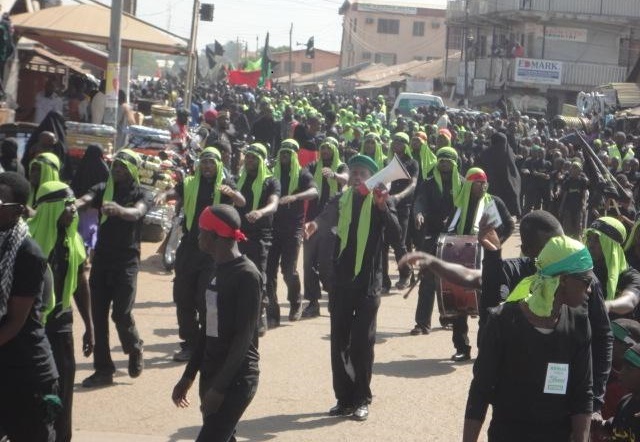 The six, all members of the Islamic Movement of Nigeria, whose leader Ibrahim el-Zakzaky remains in detention, were seized while commemorating the martyrdom of the Prophet Muhammad's grandson Husayn. A statement by the Free Zakzaky Committee said it is working frantically to secure the release of the six and to establish whether more people were detained in the attack. It accused the state governor A.W. Tambuwal of persecuting the IMN vowing not to "cede the rights and freedom of thought, conscience and religion of its members." Shia Muslims all over the world mark Ashura every year with peaceful events mourning Husayn's martyrdom.